Today I would like to show you the interview with Kendall Schmidt, who is famous from his career in American boyband Big Time Rush. 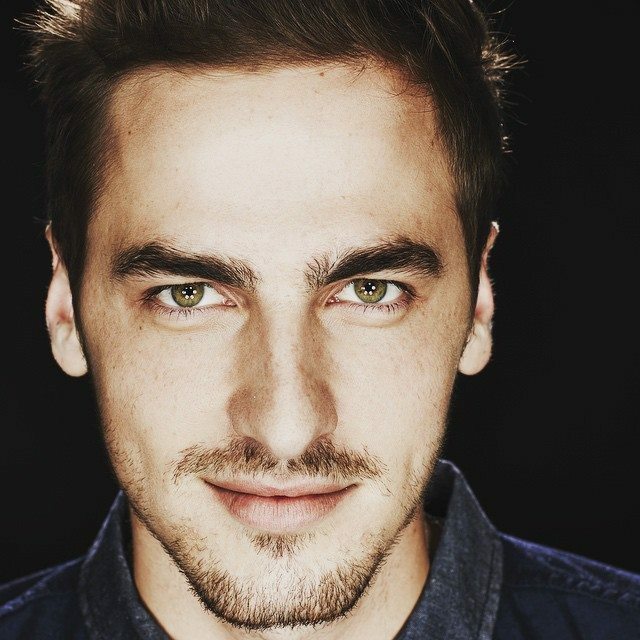 Now he is developing his musical skills in indie pop duo Heffron Drive. In the special interview Kendall is talking about the beginning of his adventure with Big Time Rush, his musical inspirations, the taste of popularity and plans for the future. The origin of your popularity is certainly the role of Kendall Knight in Nickelodeon's sitcom "Big Time Rush" from 2009 to 2013. How did you come across the casting for this show and become a member of the boyband with the same name? It's actually a 'meant to be' kind of story! My agent at the time got me an audition for a 'new boyband' that he heard about. I went to the audition, and I was really excited about the band, but then I found out that I wasn't picked. I was really disappointed, because I knew this was something special, but then they called me back and said they wanted me to come back in, and the rest is history! You released three albums with Big Time Rush: "B.T.R. ", "Elevate" and "24/Seven" and I guess a lot of time spent together in the TV and music studio made you tightly connected with James, Logan and Carlos. How do you remember your time in the boyband? Are you planning any comeback, even though the show have ended? Being in Big Time Rush is something that really changed my life. I met so many amazing fans, traveled all over the world, and learned so much. There is a BTR sized space in my heart which I know has forever changed me and will never leave. I have a friendship bracelet tattooed on my wrist as a permanent reminder of the love of all my fans, and seeing it every day brings back memories of all the shows and experiences with BTR. As far as a comeback, BTR never broke up so doing another album is always something I am open to! 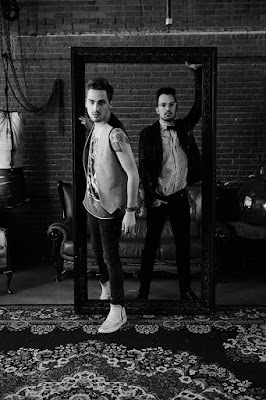 After the end of "Big Time Rush" you are developing as a musician in your own band Heffron Drive, you released the album "Happy Mistakes" in 2014. I've listened to some of your songs and they are really great. What are your musical inspirations and what inspires you in writing songs? I take my inspiration from everyday life, people I've met, or the way I feel at a certain moment, but sometimes I just really enjoy exploring a feeling or concept. I think inspiration for my music can come from anywhere, it can be surprising, I never know what might spark an idea for a song! I remember the song you sang in "Big Time Rush" called "Famous" (one of my favourites from the show by the way). In Big Time Rush you had the opportunity to taste the popularity. Have it changed the way you look at the world? What are the values you follow in your life? That is one of my favorite songs too! I think that any time you are on stage and have the opportunity to play for huge crowds, it changes the way you look at things. Little problems and frustrations in daily life seem so small once you see how big the world is and put things into perspective. Being able to experience being a part of something as popular as Big Time Rush really allowed me to see the world and do things I never thought I would be able to do, and for that I'm really thankful! I believe in following your heart and your passion. I think that we all already know what the right path is, we just have to follow our intuition. Before you became a full-time singer, you worked as a child actor, for example in "Gilmore Girls" and "Phil of the Future". Would you like to play more in films or do you want to focus mainly on music? Right now I am focusing on my music, but I am definitely open to roles on shows that would allow me to perform my songs and share Heffron Drive with more people. There are so many great cross-over shows that feature real musicians doing what they love, but also playing a role, and I think something like that would be a really great opportunity. Talking about the future, in April you released the acoustic version of "Happy Mistakes", you also had a special guest appearance in Hilary Duff's song "Night Like This"… What is going to be your next musical step and what are your dreams as the musician? My next step is to get more into producing music along with song writing and performing. My dream as an artist is to continue to be able to make music and to grow my record label Tolbooth Records. I have been working on Heffron Drive's next album with Dustin and we are producing some really great things! Of course I can't tell you too much, because I want to keep it a surprise, but I think the fans will be really excited about our new music and I can't wait to share it with them!